♦ Can you make me money? ♦ Can you increase our efficiencies? As global competitiveness increases, employers will be looking for all three. 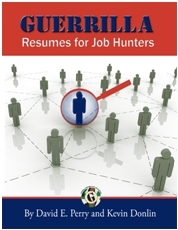 In the book we will show you how to express your relevancy – Value – to an employer.